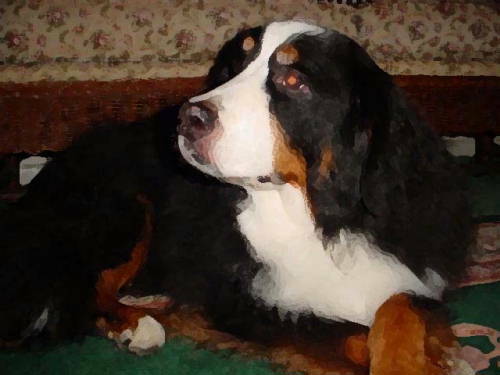 Karen's beautiful BMD, Amy, passed over to the Bridge aged twelve years, a few short weeks of her thirteenth birthday..
She had a long and happy life and will be so much missed. 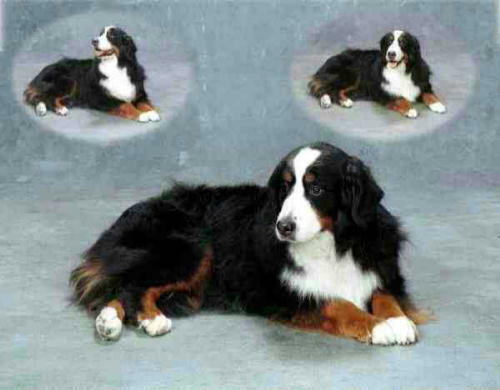 "With Amy, when she was necropsied, the Vet discovered beginning to moderate stages of hystio. 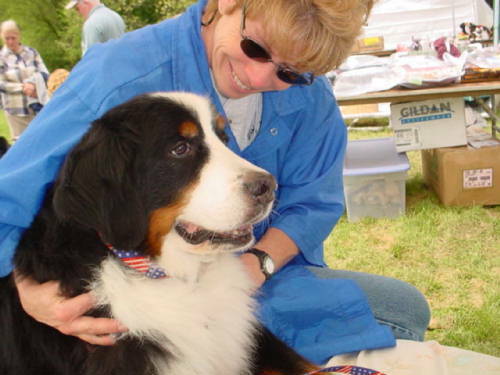 I did put her down due to a paralysis of her hind legs and back but it was only a matter of time before the cancer got to her"
Amy or Champion DE-LI's Moments to Remember had just finished getting a massage from Debbie Towndrow at the 2002 Bernese Mountain Dog Club of America (BMDCA) National Speciality. The many faces of Amy. Amy's daughter Erin was lost to histio. Sadly, one of her son's, Hootie, has already succumbed. Additionally, one of Amy's sons, Rhythm, possibly died from this disease but a necropsy was not performed. One of his four offspring, Caolan, has already perished from this horrible disease. So much more research has to be done to find the answer!